ITR is back this week with their weekly show and it is filled with information on golf ball fitting. Golfer Gal is out recovering from the Hot Dog Eating Challenge from the last show and filling in for her is Jeff from Bridgestone Golf to talk about Bridgestone Ball Fitting and B-Fit. I really enjoyed this one. Thanks for the great info. Great show today guy’s. Thanks Jeff for answering our questions and giving us an understanding of the how and why a fitting is so important to or game. Some pretty exciting news revealed towards the end of this segment, November seems way too far away, lol. Too bad we’ll be a foot deep in snow by then. One of the things I learned on here that surprised me was that they can also help on things other than just the ball. Shafts, equipment in general, swing types, pretty exciting stuff guy’s. This was a phenominal show. I have had the opportunity to talk to Jeff on a few occasions haha, and he is awesome. 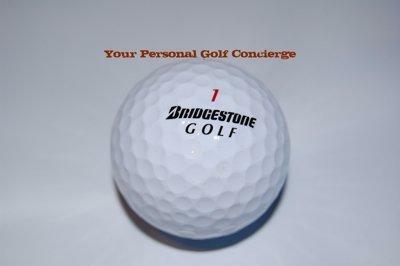 Love to hear the focus Bridgestone has on bringing performance balls to all of us non pro’s :). I can’t wait to try some of the orange E6’s. It will be my ball during football season lol. I will defnitely be stocking up. Great show. Love technology talk as it relates to better golf. Playing the RX ball and would like to see it in yellow ASAP. Jeff, hope you are reading these. Why color the e 6 balls first? I agree Tim but theyre going after the most popular ball they sell right now. Id love to see the B330’s in yellow too! Excellent info. I hope to get a thorough fitting next week. I’ll try the B-Fit tomorrow and see what comes up. Fantastic show. I’ve done the B-Fit online and recently in person and my gosh to these guys know their stuff, I’m another who’s super impressed that what I was fitted for online was exactly what the live tech’s fitted me into as well.